Rock Fantasy is celebrating the release of Spooky Pinball's Alice Coopers Nightmare Castle! A special day of pinball and rock n heavy metal! 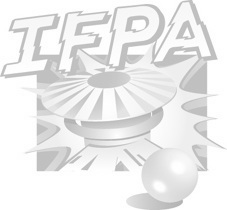 Rock Fantasy is hosting a battle of the bands IFPA pinball tourney in the afternoon! Along with a high score tournament on Alice Cooper at Quinnz Pinz that evening at 6pm with live music from Schools Out the Alice Cooper tribute, The Whiskey Sinners, Cobalt Mountain, Rapture, and Bone Tomahawk - all hosted by Chris Caffery of Trans Siberian Orchestra! . Streamed on Twitch.tv by Rage Tilt pinball! Qualify ticket on the following 8 games Metallica, AC/DC, Kiss Bally, Rob Zombie , Iron Maiden, Dolly Parton, Aerosmith, Beatlemania - qualifying from 1pm to 330 pm with the top 8 in aggregate standings making the finals. Finals will be survivor style group match play, with lowest player score eliminated each game until we have a winner. For additional details please visit the event page on Facebook or call Rock Fantasy at 845-343-7300.